When you extend shots into extreme ranges (like 2000+ yards), you’ll face some new obstacles. A few factors that could be safely ignored inside of 1000 yards become critical to getting rounds on target. You’ll face new equipment challenges that may not be obvious. As your bullet’s time of flight extends up 3 seconds, and possibly even up to 6+ seconds, priorities shift. 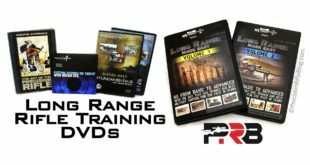 In this series of posts I’m trying to highlight a few things that make extreme long range (ELR) challenging, and pointing out a few products worth checking out that might help. 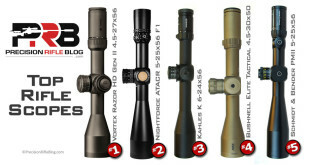 In the first post in this series, I focused on two big issues related to optics, and highlighted several new products designed to help you overcome those obstacles. 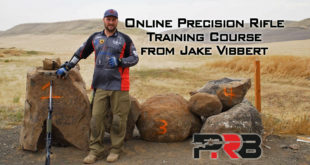 In the second post, I discussed significant challenges related to spotting impacts and getting accurate target ranges. In this post, I’ll touch on a few things you need to keep in mind related to external ballistics and the extended time of flight. Topics from previous posts have been relatively straight forward and generally easier to understand and overcome, but the topics in this post can be more difficult and because of that they’re often the differentiators between who gets hits and who doesn’t. These aspects are especially critical when first round hits are important. “Another problem caused by the rapidly falling trajectory is the sensitivity to variations in muzzle velocity,” explains ballistics expert, Bryan Litz. If a shot is faster than the average muzzle velocity, it would strike high, and if it was lower, it’s strike low. This can be a problem at mid to long range, but it becomes extremely critical at extreme distances. To quantify how consistent their ammo is, shooters typically talk about the standard deviation (SD) of their muzzle velocity. For traditional long range (inside of 1500 yards), a SD of 10 fps is typical of good handloads. That basically means 68% of shots will be within 10 fps of the average, and 95% of shots will be within 20 fps of the average. So if your average velocity was 3,000 fps, 95% of your shots would land between 2980 and 3020. If Shot #1 was 2980 and Shot #2 was 3020 it would result in 15 feet of vertical spread at 3,000 yards! That is not just enough to miss a target, but you potentially might not even spot the impact because it was so far off. In ELR, most competitive shooters want a SD closer to 5 fps or less to minimize their vertical spread. The table below shows the huge swing in hit probability that happens as a result of muzzle velocity variation as you stretch out the distance from traditional long range to extreme long range. In ELR it is critical to know your exact muzzle velocity, and how much it varies. There are a ton of chronographs on the market, but for precision shooters there are really only two: LabRadar and MagnetoSpeed. Both of those are extremely accurate and reliable, especially when compared to older light-based chronographs. 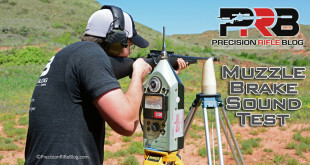 David Tubb and Nate Stallter even compete with a MagnetoSpeed chronograph attached to their rifle, which allows them to review the muzzle velocity of every shot. It’s as if that device is an integral part of the rifle system, which seems to be a clever idea. With an on-board chronograph, if you notice a shot went high, before making a correction on the next shot you could glance down to check if the muzzle velocity of that round was unusually high. If it wasn’t, then it’s likely you’re missing something (e.g. the range is closer than you thought or there is an updraft you didn’t account for), so apply the correction and send it. However, if the velocity of the last shot was abnormally high, then mystery solved! The velocity of the next shot will likely be closer to the average, so you should send it with no correction for the best odds at hitting the target. In my experience, shooters typically fall into two categories: 1) They don’t ever correct, and miss in the same place multiple times, or 2) They’re too eager to “chase impacts,” and miss on one side of the target, then the other, then the other, etc. An on-board chronograph seems like a clever strategy to help you make an informed decision about whether to correct or not and ultimately get more rounds on target. This is a HUGE one … maybe even the biggest! 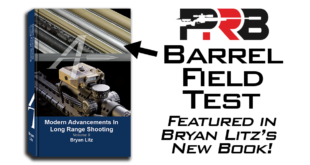 Litz believes “The greatest challenge of ELR shooting is dealing with transonic effects on bullet stability.” Bryan goes into depth on this in his book Applied Ballistics for Long Range Shooting, which I’d highly recommend for to any shooter who is serious about getting rounds on target at extreme distances. Transonic stability can get VERY technical, but I’ll do my best at summarizing the basics. The diagram below shows 3 distinct parts of a bullets flight, which are supersonic (faster than the speed of sound), subsonic (slower than the speed of sound), and a brief transition period between the two called transonic flight. During transonic flight, which is roughly between 1,340 fps and 890 fps, the bullet experiences a turbulent transition as the shockwave around it dissipates. A bullet starts flight well above the speed of sound, which means there is an area of very high pressure around it. Air is a compressible substance and at supersonic speeds the airflow around a bullet is so compressed that it can’t be compressed any further, which causes it to form a shockwave. By the time the bullet slows to 890 fps, it’s going slow enough that the air in front of it has time to get out of the way without compressing. Supersonic and subsonic flight are relatively consistent and predictable. It’s the transonic period in between the two where the airflow around the bullet transitions from fully compressed to uncompressed that things get tricky. Nuances of how that shockwave dissipates around a specific bullet affects the flight in unique ways that are difficult to model or predict. During that short window of transonic flight, lots of things happen. The bullet’s center of pressure moves forward, challenging the stability of the bullet, causing the bullet to pitch and yaw (think of a spinning top that starts to slow and destabilize). When the bullet starts to pitch and yaw it creates more drag, effectively depressing the BC of the bullet. The drag on the bullet changes dramatically in another way too, because in supersonic flight the bullet has to force the air to compress into a shockwave, but in subsonic flight it cuts through the air MUCH more easily (i.e. drag coefficient could drop 70%). The exact speeds where these things happen varies based on the shape of the specific bullet and atmospheric conditions. All of these factors are dynamic and interrelated, and can occur to a greater or lesser extent based on the exact conditions of the day, or even how sharp the barrel’s rifling is, making predicting the trajectory through transonic flight VERY difficult … even for rocket scientists! Barrels with a faster twist rate can increase your bullet’s gyroscopic stability to help it overcome the dynamic instability it experiences at transonic speed. In other words, spin that bullet fast and hope for the best! Some bullets make this transition more smoothly than others, so consider that when selecting your bullet. Typically bullets that are shorter and have shallow boat-tail angles will track better through the transonic range. Long, skinny bullets may have higher BC’s, but they’re also inherently less stable than shorter bullets. “The principle of trading off supersonic performance for transonic stability is a common theme in ELR ballistics,” explains Litz. A long, high BC bullet will clearly be the better performer through supersonic range, but when transonic stability is a major concern, a shorter, fatter bullet has an important advantage. There are a lot of factors that come into play in ELR. You must account for secondary elements that affect bullet flight (Coriolis, spin drift, aerodynamic jump, transonic effects), which can typically be safely ignored inside of 1000 yards. To be able to calculate those things, you ballistic solver needs more details like the direction of fire, latitude, barrel twist rate, bullet length, exact wind direction and speed (not just the crosswind equivalent), etc. 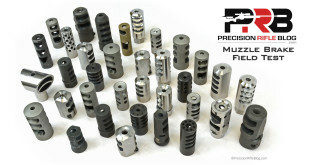 All of this means you need a better handle on your ballistic solver, and must be rigorous to manage the details. Remember: garbage in, garbage out. Kestrel Ballistic Weather Meters – This seems to be the most popular solution. It features the Applied Ballistics ballistic engine, and has the ability to measure the wind speed at your location. Garmin Foretrex 701 Ballistic Edition – This is a device intended to wear on your wrist, and features a 2 inch display screen. 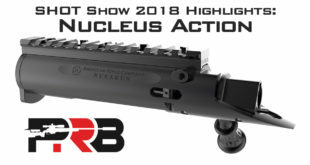 This device also runs the Applied Ballistics engine, and I noticed it was what many of the shooters on the Applied Ballistics Team were running at King of 2 Miles. GeoBallistics BallisticsARC App with WeatherFlow Weather Meter – The BallisticARC mobile app can pair with the WeatherFlow handheld device to capture on-site atmospherics. Other Phone Apps Like Shooter & Ballistic AE – There are a host of other ballistic apps for your phone, but these are two of the best. Many of these apps pull atmospheric conditions from the nearest weather station (assuming you have data service), but some allow you to load the atmospherics from a Kestrel or WeatherFlow via Bluetooth. Beyond secondary ballistic elements and adapting your firing solution to current atmospherics, you may even need to account for initial muzzle velocity variation based on ambient temperature. For example, your muzzle velocity at 40 degrees will be different than that same exact load and rifle at 100 degrees, even if you’re using a powder that has low temperature sensitivity (read more on temp sensitivity). Little things like that matter when attempting first round hits at extreme ranges. Not all ballistic engines allow you to automatically adjust the initial muzzle velocity based on ambient temperature, but the Applied Ballistics engine and Shooter app both do. Sometimes little things like that can be the difference between whether you get a first round hit or not, especially if shooting in vastly different temperatures. You will likely need to tweak your BC and/or muzzle velocity to fine-tune your ballistic solution so the prediction matches reality. I talked to Robert Brantley about the ballistic solution he recently used to win the 2018 King of 2 Miles competition, and he told me he used 3 different profiles on the Shooter app. He was using a 500gr Cutting Edge Lazer bullet fired at 3100 fps from a 416 Barrett, and Robert told me he used the published G7 BC of .491 for ranges out to 2,000 yards, then he used a G7 BC of .481 for targets from 2000 to about 2400 yards, and used a G7 BC of .471 from there out to the last target at 3525 yards. Robert said he’d normally reference these based off remaining velocity, not distance, but referencing distance for Ko2M made it simpler and it was all based off remaining speed and data he gathered the day prior. According to the ballistics I ran (based on atmospherics I recorded at the event), it looks like Robert’s bullet would have entered transonic speed around 2200 yards, hit the speed of sound around 2750 yards, and was traveling around 980 fps when it connected with the 2 mile target at 3525 yards. The different drag models he used were likely compensating for the net change in drag his bullet experienced through transonic flight. His pragmatic approach obviously worked, because he connected with all the targets, had first round hits as far as 3166 yards, and hit most targets multiple times. 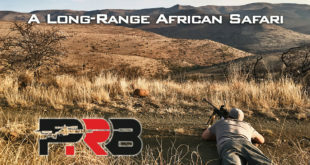 Shooters have been using a similar approach with banded BC’s for a long time, but the Applied Ballistics team have been working on a different approach. Remember I mentioned that transonic stability is impacted by the specific bullet shape and geometry? Bryan explains that “small differences in shape between a given bullet and the G7 [or G1] standard can lead to significant misrepresentations of drag for that bullet at transonic speeds.” That’s why he believes a better approach is not to reference the BC to a standard bullet at all, but instead calculate the trajectory using a custom drag curve which is created for that individual bullet. A custom drag model (CDM) is a specific representation of a specific bullets’ drag at all speeds. 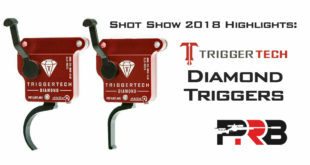 This is a major departure from the BC’s most of us use where the drag curve of a bullet is simply a scaled version of the standard bullet’s drag curve. A specific bullet’s behavior at transonic speeds is unique, like a fingerprint, and a CDM should more closely match that fingerprint than a generic fingerprint from a standard bullet. Does that mean that the trajectory prediction with CDMs are perfect? No, and the Applied Ballistics team doesn’t claim that either. But, in my experience CDM’s are usually much closer to the actual hits than using a traditional BC-based approach. I’ve personally tested them for several different bullets from 6mm to 338 caliber, and actual impacts typically aren’t more than 1 click off high or low and often times its dead-nuts on. That’s without any truing, meaning I just load up the CDM, input my muzzle velocity, and dial what the solver says. Think how far we’ve come in the past 15 years for that to be true!!! As I mentioned in a previous post, I shot in the Texas Ultra-Long Range Match last year, which had targets from 500 to 2,640 yards (1.5 miles). Using a spec Surgeon 338 Lapua rifle I bought off EuroOptic.com and a Kestrel with Applied Ballistics with their CDM for the Berger 300gr OTM Hybrid bullet I was able to get a first round hit on EVERY target all the way out to 2,640 yards. That included some tiny “bonus” targets, like a 12″ circle at 1445 yards, and was in 14-17 mph wind that was switching from 10:30 to 12:30. Before I take too much credit for that, I can honestly say I ranged each target, put the distance and my wind call into the Kestrel, and simply dialed exactly what it said for all the shots inside of 2000 yards and my elevation was near perfect all the way out. There was no tweaking to the CDM or my muzzle velocity whatsoever, which just shows the kind of accuracy you can expect when everything is working right. My SD for the handloads I was using was 3 fps, so that was helpful in showing how accurate the ballistic solution was. When it came to the 2,640 yard target, I had practiced at that range earlier in the week, and noticed that my impact was around 0.8 mils low from what the Kestrel was calling for … so on the day of the match I just added 8 clicks to what the Kestrel called for on that 1.5 mile and the bullet found the target. (I might could true the trajectory using a Drop Scale Factor in the Kestrel for those extreme ranges.) I talked to Bryan after the match, and he seemed a little surprised that bullet was still flying nose-forward at that distance. It was well into subsonic flight, so that distance was really pushing the ballistics for that rifle system. I use CDM’s for my primary competition rifles for PRS-style matches, and in my experience they’ve been very accurate for the 6mm Berger 105gr Hybrid, 6mm DTAC 115gr RBT Pointed, 6mm Hornady 108gr ELDM, and 6.5mm Hornady 140gr and 147gr ELDM, at least within the 1200 yards that I typically shoot those mid-size cartridges. I did struggle earlier this year when I tried to use the CDM for the Berger 215gr Hybrid out of my 300 Norma Mag. That has been the only case I’ve found where switching back to a G7 BC and tweaking it produced more accurate results for me, although that could be due to a number of other factors. Today I personally use CDM’s for 95% of my ballistic solutions and believe they’re usually the best solution, but as always you should not assume anything … always test it yourself and verify. 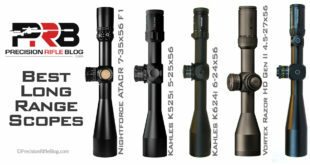 The AB Lab has already created CDM’s for several hundred bullets, and they’re constantly adding to it. If you use a device with the Applied Ballistics engine, like the Kestrel or Gamin Foretrex, you can load up CDMs for your specific bullet. 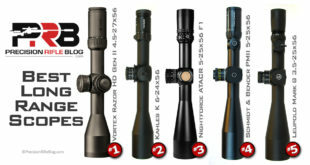 Here is the latest list of bullets they published recently: Applied Ballistics CDM Bullet Library. If you want to learn more about drag modeling and CDM’s, check out this article: Aerodynamic Drag Modeling for Ballistics by Bryan Litz. There is another factor related to ballistics that many don’t think about. 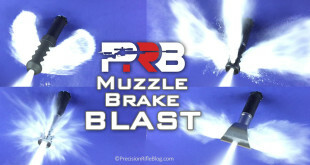 When the time of flight for your bullet goes from 1-2 seconds to 6-7 seconds, it presents new challenges. Most shooters fire a shot, freeze for 6-7 seconds to try to spot the impact, then extract the round, load another one (usually by hand, since many use single shot actions), and then adjust and get ready to send a follow-up shot. By that point, 30-60 seconds or more had passed since the last bullet was in the air, which is a TON of time for wind conditions to change. The more time that passes between shots, the less likely your bullet will experience the same conditions. At the 2018 King of 2 Miles, I’d bet most teams averaged 45-60 seconds between shots. 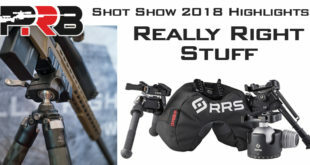 I was talking to Rudy Gonsior, the spotter on the 4th place team and shooter on the 8th place team, and he was also surprised at the slow cadence of shots. In a brief conversation I had with Rudy, I could tell he was a sharp guy. He had a pretty clear way of thinking about this: When you send a shot, watching the impact gives you valuable data about the current conditions, but with every second that passes that data starts to expire. If you allow 60 seconds to pass between shots, your data may already be invalid and you’re basically sending the next shot blind to gather more data so you’ll know how to correct for the next shot. Without a healthy sense of urgency, you can squander the opportunity to take full advantage of the valuable data you just gathered about conditions down range. This is part of why ELR competitions are often team events, with a dedicated spotter and/or wind coach. At the King of 2 Miles, I carefully watched the cadence of the top teams, and there was a few that operated very smoothly. On a couple of teams, the shooter would send the shot, and immediately start to reload to prepare for the next shot. They trusted the dedicated spotter on their team to see the impact, and call the correction they need to apply on the next shot. At the same time, their dedicated wind coach is watching for changes in mirage to alert the shooter when conditions change. On these high-functioning teams, the shooter was ready to send the next shot as soon as the correction from the previous shot was called, and could fire the follow-up shot in 20 seconds or less. I believe this organized and efficient approach helped some of the teams land a few more hits, and end up higher on the leader board. I hope the past couple posts have helped spotlight some of the challenges when it comes to ELR, as well as a few ways to overcome them. It’s an exciting time to be involved in this emerging sport! What a helpful read.so much info .and so very helpful and insightful.look forward for more like this. Thanks, Robert. Glad you found it helpful! The fact that these long range shooters are taking 20 seconds between rounds is amazing. I believe even the F Class shooters would prefer to have the target stay up if they didn’t have to wait between shots. 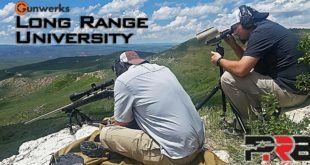 I realize that ELR shooting is 80% science, 10% skill and 10% luck in reading corrections at 2 to 3 thousand yards, but it would appear that in this day and age we should have some type of program or app that only requires one or two inputs from the user to give you almost an immediate correction for bullet flight. 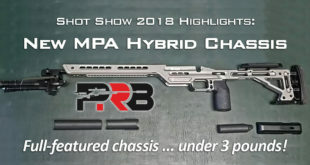 If the shooter is prepared with a new round in 2 or 3 seconds, I would think they could get that next round down range in another 3 to 4 seconds with an immediate call from a spotter and get the next round off in another 4 to 5 seconds. This would cut the firing time in half. I haven’t fired rounds at the extreme range these guys shoot and I realize that they may have a 5 second bullet flight time before a spotter can make a call but I don’t think it will be long before the science of ELR can provide data to a shooter in almost immediate real time for a firing solution. Hey, Wade. It surprised me too, but it’s easy to not realize how long you’re waiting on the extended time of flight. For those far targets the time of flights is not just 4-5 seconds … it is literally 6-7 seconds. That doesn’t sound like much a difference, but it is. I even did it! At the Q Creek PRS ELR match a few months ago, I placed in the top 20 and shot well most of the match. I actually only timed out on one stage and it was the very last one … which happened to be the one that had shots out to 2100 yards. The reason I timed out was because the long time of flight. I wasn’t thinking about that. Most of that match is 1000-1400 yard targets, and when you double the distance the time of flight more than doubles. As long range shooters we just get in the habit of watching for the impact, and in this game you have to intentionally break that habit … or at least that is a strategy that a few of the teams employed. At the very least, I think you need to have a healthy sense of urgency. Almost everyone who made it to the finals at King of 2 Miles did … and a slower cadence may have been why some guys didn’t make the finals. It just takes forever to see the splash. I heard a couple veterans say they count in their head or even out loud so they know when to look for the splash and don’t blink or they know when to give up on it and say “no call”. I will be honest, when I hit that 2640 yard target in that match … I had been watching for splash in my scope for what felt like a lifetime, and I eventually gave up on it and was literally starting to lift my bolt to chamber another round when I saw the target flasher go off and the RO called impact. It is a LIFETIME! I do agree with a lot of your logic, though. I just wouldn’t be too harsh on those guys, because it isn’t as obvious as it sounds. If you sent a round, it’d take 6-7 seconds to get there, and if you extract and reload immediately you could be ready to make the correction when the spotter calls the correction. They will see the splash at about 7 seconds, then it will take another 3-5 seconds for them to communicate it, 2-3 seconds for you to apply the correction, and then 3-5 seconds to settle in behind the rifle, double-check your cant and send it. That would be smooth execution, and even in that case you’d have 7 + 4 + 3 + 4 = 18 seconds. You might could speed it up a little with practice and a team that communicates at an elite level, but probably not by much. I mean almost 40% of that time is when the bullet is in the air! It’s just another one of those things that is a challenge you need to overcome when you extend into extreme long range. It seems like there is a pretty long list of those kinds of challenges, but it’s those kinds of things that make this fun for a lot of guys. We really are pushing the limits of what is possible with small arms and pioneering into uncharted territory. I’m sure 5 years from now there will be established best practices for a lot of this, but we’re still in the trailblazing days … which is exciting for me. Wade, I appreciate the thoughts! As always a great article and source of info. Greatly appreciate the work you do…. Thanks! Thanks, Bobby. This one was tough to write! Good to hear it was helpful.